Monarch butterflies, Danaus plexippus, are one of the most recocgnized and popular butterfly species. 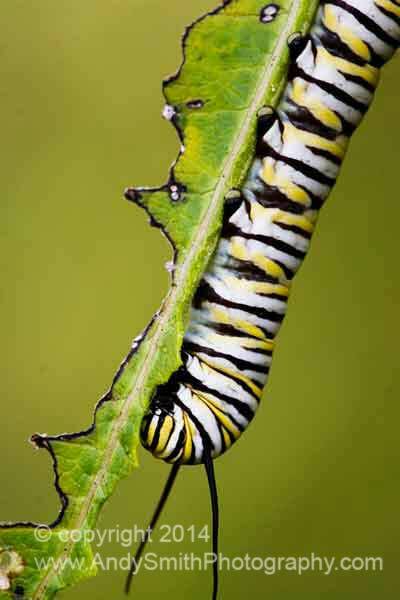 This caterpillar is feeding on Milkweed. Because of loss of forests, harsh winters and the decrease of Milkweed, their primary food, egg-laying and chrysalis bearing plant, the Monarch population has declined significantly. Monarchs go through four generations annually with the fourth going to the mountains of Northern Mexico for the winter.